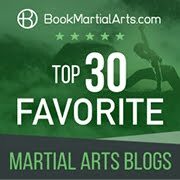 I answered Emero on the particular thread, but I thought the question was appropriate enough to pose, and answer, here in my blog - especially since it will feed into my upcoming article “Situational reflex: the key to martial effectiveness”. What Emero notes is that powerful circular attacks are hard to respond to. A linear attack is relatively easy to understand and can be dealt with by controlling the center line (a topic I hope to address in the future). But circular attacks don’t really respond to the same methods; for one thing, they don’t move along the center line, so controlling it does not yield the same benefits. Now it is true that a simple swinging punch (ie. a “haymaker”) is not a terribly effective punch. Not only is it relatively long-winded and weak, utilizing nothing more than the swinging momentum of your arm, but it is also highly telegraphed. However circular attacks can be, and in experienced hands usually are, far more sophisticated than that. And they can be far more powerful. In fact, they can be the most powerful techniques of all. A good circular attack properly utilizes a curved path to generate a great deal of momentum; the longer travel time means you have more room to accelerate the attack, hence increasing the velocity at impact (see my article “Hitting harder: physics made easy”). Also, properly executed, a circular attack can approach from your blind spot, making it a surprise and negating any telegraphing of your attacker's intention. The circular attack can accordingly circumvent your guard or other control of the center line by going around, over or behind it. So for example, a cross punch can carry with it some element of circularity without resorting to an amateurish haymaker swing. This circular element can enable it to come over the top of, or around, your defences, making it hard to see in advance as well as block/deflect/evade. But the circular techniques that are possibly the most powerful, and difficult to deal with, are the kicking variety. It comes as no surprise to me that Emero finds it difficult to deal with the two circular kicking attacks noted at the beginning of this article. Any kick is going to be hard to deflect and evade. Circular kicks are a whole other ballgame. I have canvassed some of the traditional tactics used against kicks in my article: “Low blocks against kicks - are they ridiculous?” and from that you can see that body movement and cutting the right angle of deflection are crucial. If you get it wrong, your risk breaking your arms against the significantly more powerful legs. I can attest to this personally; I still have a bone that juts out of the back of my hand, courtesy of trying to jam a kick using my palms circa 1988. Circular kicks are particularly difficult to deal with using your arms precisely because they build up so much momentum. It would be foolish in the extreme to attempt to physically block the extremity of such a kick at full swing; the kick would simply smash your arms and penetrate through to your head/body. See for example the controversial first fight between Mauricio “Shogun” Rua and Lyoto Machida, where Rua dominated Machida with punishing kicks to his thighs. Given Machida’s superb timing and reaction skills, you can see how even the most highly trained fighters can find such kicks difficult to deal with. 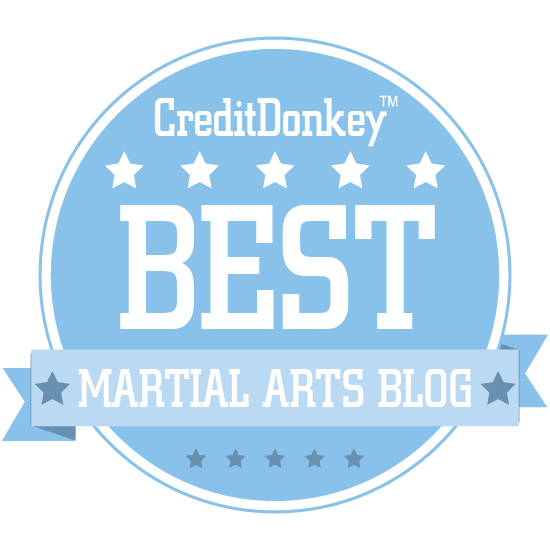 Similarly, spinning kicks and crescent kicks, when executed by a highly trained fighter, can sometimes find their mark in the most effective way. When they are overused, the person at the receiving end can adjust, taking advantage of their relative indirectness and telegraphing. But when used sporadically, they can be surprising and deadly. Just watch any taekwondo competition and see the occasional knockouts achieved through such kicks. It is said that the key to deflecting/evading a straight attack is to use a circle. Accordingly it should come as no surprise that the key to deflecting/evading a circular attack is to use a straight line. In this case, that straight line should ideally cut an offline forwards angle, moving with the direction of the spin as illustrated in the adjacent image (there are exceptions and I'll deal with these another time). You should move along that line to intercept the attack at the center of its axis, avoiding the fast-moving extremity. Once there you can either jam or block the technique at the point where it is moving most slowly, or you can “join centers” with the technique, harnessing the circle and redirecting the force elsewhere. This approach is sometimes “slowing down that attack”, not because you are actually slowing it down, but because your forward movement will enable you to confront the attack where it is moving more slowly. The animation above illustrates a “tenkan nage” (“turning throw”) which features an “irimi” (“entering”), a joining of the circle and a redirection. This is a fairly “soft” answer to an attack and is an illustration of the principle only. I’ve mentioned before that “leading momentum” in this way is unlikely except against the most committed attacks. However the example is still fairly illustrative of the principle of “joining centers”. Another approach is to evade the attack by moving away, allowing the technique to slip by. This is sometimes called “speeding up the attack” - again, not because you are actually accelerating the attack but because you don’t interrupt the acceleration; you let the attack reach its maximum speed and then exhaust itself. You can then deal with your opponent in the aftermath. A duck, weave or lean back would all come within this approach, as would any retreat. The down side to this approach is that you have failed to close the gap, arguably leaving you in no better position than where you were before the first attack. The video below illustrates the dangers of such an approach. In it, an MMA fighter faces a capoerista who attacks with a series of spinning kicks. The MMA fighter evades by moving backwards until he reaches the ropes and can retreat no more, whereupon the capoerista lands his spinning kick in a spectacular knockout. A video illustrating the dangers of dealing with circular attacks by simply retreating - you might be putting off the inevitable. In other words, by retreating from a circular attack, you might be simply putting off the inevitable. So when facing a circular attack, your best option is to groove a flinch response that drives you inwards and at an angle, moving with the spin, not into it. Mostly if you move into the spin you face colliding with the attack head first (again, there are exceptions, but this is an issue I'll canvas another time). Either way, the lesson is clear: When you are facing a circular attack, don’t stand in “no-man’s land” - the place where the attack is at its optimum speed. Move in or move back. But whatever you do, don’t just stand there, flat-footed. You will necessarily be “moving on the inside” of the attack. 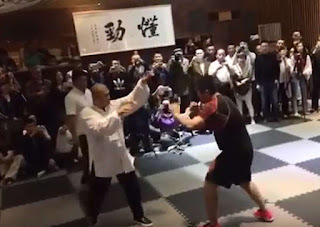 This is contrary to the philosophy/methodology of many schools of close quarter combat such as wing chun, bak mei, southern preying mantis and indeed all of the Hakka school of southern China. 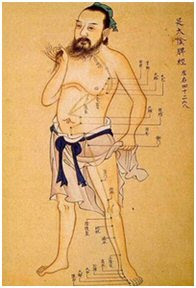 It is even contrary to what is taught in many internal arts schools and in Okinawan karate. This is unsurprising; most of those schools emphasize linear strikes and kicks, with only a small percentage being “circular”. And clearly, being on the outside of an attack is far more advantageous to you. For one thing, you don’t face the prospect of immediate follow-up attacks (at least not the same extent). So I don’t, for a moment, dispute the relevance of this philosophy. It’s just that there can be no blanket assurance that you will always be able to end up on the outside of your opponent. Indeed, it is my view that if you are facing powerful circular attacks, moving to the inside will, at some point, become unavoidable. I propose to deal with the whole question of “moving on the inside” vs. “moving on the outside” in a later article. For now it suffices for me to say that moving on the inside against a circular attack is a virtual certainty. And it needn’t be disadvantageous, as we will soon see. Given my mention of the roundhouse kick to the thigh being the “king of circular kicks”, let me begin by addressing how one might deal with that technique. 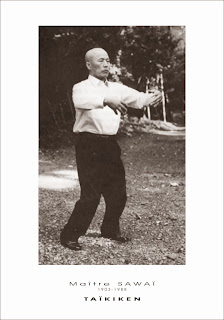 There are a number of very effective counters to this kick, the simplest being a retreat. The roundhouse kick to the thigh is highly telegraphed, so it is comparatively easy to avoid (as many MMA fighters do - more thigh kicks miss than they land). However, as discussed previously, this still leaves you with the problem of how to close the gap. If you’re fast, you dart in just as your opponent’s kick misses. This is particularly attractive if your opponent is so committed that his kick makes him over-spin, turning his back to you. But as attractive as this is, you need to be aware that your timing has to be perfect; if you aren’t careful you’ll simply walk into a spinning backfist, as happened to Frank Shamrock against Bas Rutten in the King of Pancrase competition (see the video below). 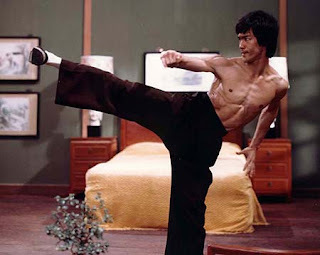 There are other ways of evading the roundhouse kick to the thigh, including some methods from bagua and taiji, which involve letting it slip under your leg. I have yet to film these and they are quite effective, without meaning that you have to “reclose the gap”. You will note that his method requires you to lunge forward, albeit only slightly offline, to jam or wedge your opponent’s thigh. In order to be successful, you must lift your front leg and push off with your back, so that your weight instantly falls forward. Your shin is raised and wedges into your opponent’s thigh with a slight circular action. Your arms should be ready to smother any hand techniques and deliver your own. 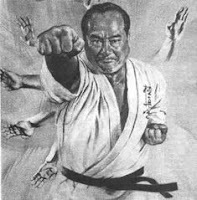 I particularly favour a backhand followed by an elbow smash to the head (an application of naifunchin/naihanchi) (see my article “Forgotten techniques #1: haiwan nagashi and ashibo kake”). Dealing with spinning kicks is easier. As discussed you should move forward at an angle. There you can use an ashibo kake uke to smother the kick, or alternatively simply strike your opponent: Once you are inside his circle, there is no real danger from the spinning kick - the bigger danger is a potential follow up backfist, a la Bas Rutten. Another option is to accompany your forward step with a reverse downward block/deflection, as illustrated in the adjacent image. So, if you step forward with your right leg, you should use your left arm in a downward block. Against cresent kicks, once again your main weapon is the lunge forward - with or without the ashibo kake uke. Don’t try to stop the crescent kick with your arm; the kick simply has too much momentum behind it. If you must wedge/jam the kick, do it with your shin against his thigh, stopping the kick where it is moving the slowest and with that part of your leg which is the strongest. You might well be forgiven for asking why people don’t use these options more often - in MMA, in sparring or elsewhere. If it is so “easy”, why don’t we see it being used? Well I never said it was “easy”. Learning to modify your flinch reflex so that you explode forward takes many years of training. Learning to move forward diagonally and with the spin is even harder. In order to modify your flinch reflex appropriately you need to do up to 10,000 repetitions of forward lunging in response to a threat. It takes at least that many before you’ve inculcated the response so that it is reflexive. How should you start developing this reflex? I have previously posted the video below where I show forward, offline evasion using your reverse arm to deflect. Solo practise is a good idea at first (or whenever you don’t have someone to work with). It takes a while to make the movement smooth and efficient anyway. If you go straight to working with a partner, you will very likely make compromises in technique. Exploding forward into an attack has the potential to make you "cringe", when that is the last you want to do. You have to be assertive and bold. Once you’ve refined your solo movement sufficiently, you should start practising against a partner (also shown in the above video). Start by focusing on such things as general direction, then work up to correct distancing, then add intent to land the blow, remembering to use protective equipment if you are going to connect. 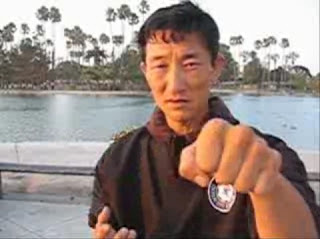 Do it against circular attacks only well after you are used to entering diagonally forward against linear attacks (such as the front kick or even the side thrust kick). Over the last 31 years of training in the traditional martial arts, one thing has become abundantly clear to me: the vast majority of scenarios used for practicing traditional techniques involve linear attacks. Think about it: whether you are studying karate, kung fu, taekwondo, silat, jujutsu, judo, aikido, shaolin gong fu, taijiquan, you name it, whenever your instructor wants to show you the meaning of a technique, chances are he or she will ask you to punch a straight punch, throw a thrusting strike or kick a straight kick. Entire art forms are built on this assumption; that the attack you face will be linear. And while linear strikes, punches and kicks make sense to a civilian defence specialist (who wants to avoid taking risks in counters), is it really something the average attacker is likely to do? 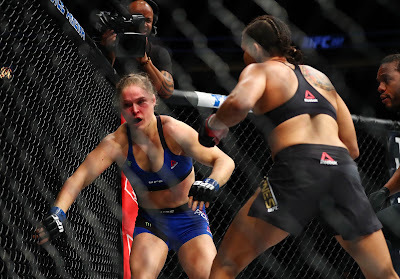 Is the average attacker really going to throw a straight punch, never mind a straight kick? Many years ago I was involved in a physical altercation – one of the few I’ve had. The fellow had hit a friend of mine (not terribly well) and I remonstrated with him. So he threw a swinging punch at me as well. I partly blocked it partly ducked, so it glanced my ear and the side of my head fairly harmlessly. I then punched him twice – two straight jabs to the nose which made it bleed. I remember that I really didn’t want to hit him very hard, so the punches were shallow. Thinking back, this was a mistake. It enraged him and he started throwing massive swinging roundhouse kicks to my thighs. I dodged them fairly easily, but I realized then how foolish my tactics had been. I responded with a sharp front kick to his face. But again, I hesitated: I was wearing heavy shoes and the thought of smashing his teeth didn’t sit comfortably with me. So I missed – deliberately – kicking precisely to one side of his head. I can still remember my foot focused briefly next to his startled face. The fight was broken up then by others (thankfully) with promises from him that he would track me down and give me a hiding (a promise which came to nothing). What did I learn from this? First, I learned to appreciate Theodore Roosevelt's quote: "Don't hit at all if it is honorably possible to avoid hitting; but never hit soft." Second, I learned that people don’t attack you with straight attacks. We traditional martial artists counter with straight attacks. But our attackers are unlikely to be trained, traditional martial artists. They are usually nothing of the sort. What do they use to attack? To quote Patrick McCarthy, their “habitual acts of physical violence” fall into a number of typical attacks. And chief among these is a circular punch and a “soccer-like” circular kick. Accordingly it strikes me as very odd that traditional martial arts have largely failed to address this issue. Instead we have what can only be described as grossly artificial attack scenarios in traditional training environments. I have attempted to address this issue in my own school by including defences against circular attacks. And even where I haven’t used circular attacks, I’ve tried to factor in defences that go to the inside of the attack knowing that had the attack featured a circular element, the defender would almost certainly have had to move there for the reasons I’ve detailed previously. 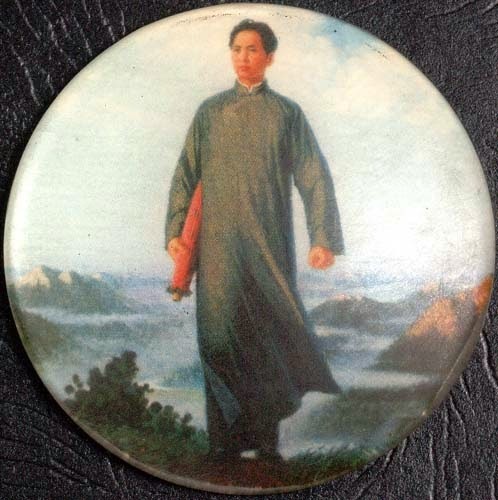 I have done so even though I knew it would meet with some criticism from the “center line theorists” – many of whom are my good friends in the martial arts. I hope this article goes some way to explaining my reasons for factoring in “inside movement” and all the issues that spring from that. I also hope it explains my preference for basing my art on both deflection/evasion (as well as counter attack) – both of the kind that moves in (“slowing down the attack”) or moves out (“speeding up the attack”). Because when you face a circular attack body, evasion is all the more relevant. You can slip a straight attack with minimal body movement. But unless you pre-empt or negate a circular attack with a simultaneous response, you will need to move – in or out – and do so efficiently and effectively. Because failure to do so can have catastrophic consequences, particularly for a traditional martial artist unused to being attacked in such an “unorthodox” way. Good article. In capoeira we train almost exclusively on dealing with these attacks, as they comprise the majority of capoeira leg techniques. A capoeira option for the crescent kick (mea lua) is to train on moving in under the kick and sweeping the leg (banda). Takes a lot of repetitive training to overcome that reluctance you speak of, but effective. Thanks Patch, great to have input from a capoerista! re: " In order to modify your flinch reflex appropriately you need to do up to 10,000 repetitions.." I have heard this expression from instructors with regards to many areas of Karate training over the years. I would always take it on faith as true. However, now I am wondering if it is based on anything in particular? Or is it just one of those common sense things? I'm quoting my brother there Dale. He has a degree in sports science, so I suppose he would know where this estimate comes from. Having tested it with kata and basics over the years (including special intensive courses and camps where we set targets for repetitions) I have no doubt that it is a reasonable estimate.